The LP Percussion Claw is a scaled-down version of the famous LP Claw. The claw's jet-black body measures 4" and holds tight to standard drum counterhoops and LP Comfort Curve drum rims. At the same time, the claw opens wide enough to grip any bass drum wood or metal hoop. The LP Percussion Claw can add almost any mountable percussion instrument to your drum setup. The knurled texture of the claw's 3/8"-diameter Z-rod is perfect for use with the forged eye-bolt mounting assembly found on many percussion instruments. 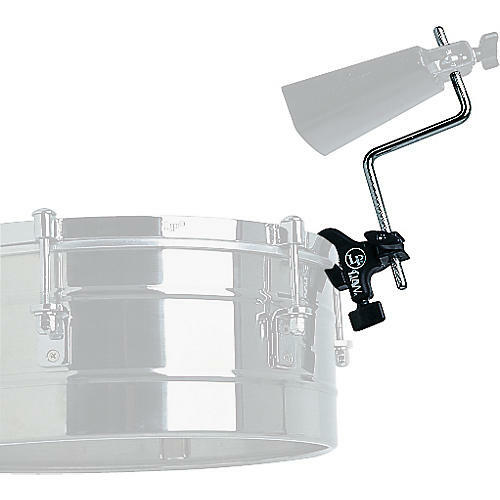 Mount the LP claw anywhere on drum sets, marching drums, or percussion setups.